The expansion project in Nice marks the first time that amd.sigma is providing consulting services for an airport project in neighboring France. Aéroport Nice Cote d'Azur is France’s third-largest airport, handling over thirteen million passengers each year – and future projections have that number increasing to eighteen million. 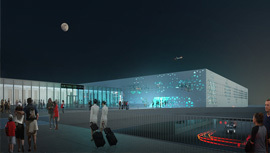 In the competitive tendering for the expansion of Terminal 2, it was Stéphane Aurel Architecture (Paris), who, together with amd.sigma and other specialist planners, prevailed. Planning for the expansion and reorganization of the terminal got underway in early August 2018. 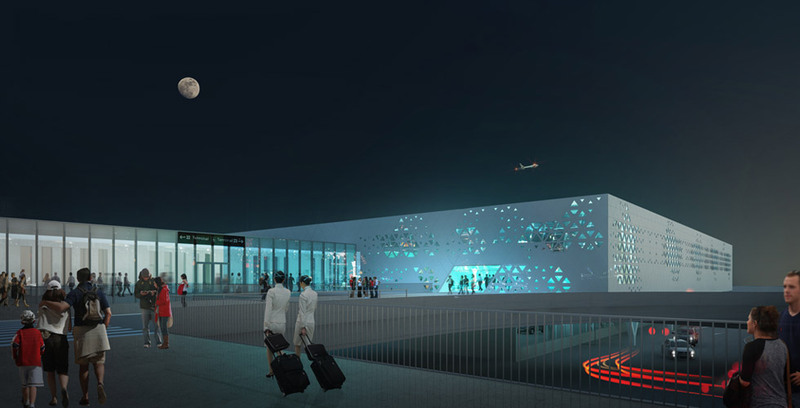 By 2022, an expansion of the existing terminal, a new pier and six MARS aircraft stands will be erected on a very limited site. The project cost is 53 Million EUR and the total gross floor area includes approximately 36,000 m2. amd.sigma developed a flexible pier layout with six schengen / non-schengen swing gates as well as a concept for the optimization of passenger flows. For the apron layout with code C and code F stands apecialized simulation software (Aviplan Airside Pro) was used to find the optimum solution for aircraft stands, passenger-bridge configurations and ground handling vehicle flow.